Learning languages is really a lifetime pursuit 🙂 Almost 10 years into learning Korean, there are still sooo many things that I do not know, and so much more I should do to improve my proficiency. Compared to the first few years of studying Korean where I really put in x10 effort, progress in the past few years have been rather slow due to the usual reasons (lack of time blah blah). The past year has been exceptionally busy and even till now, I’m still struggling to find time (actually energy and discipline) to read in Korean or do some writing (very rare). 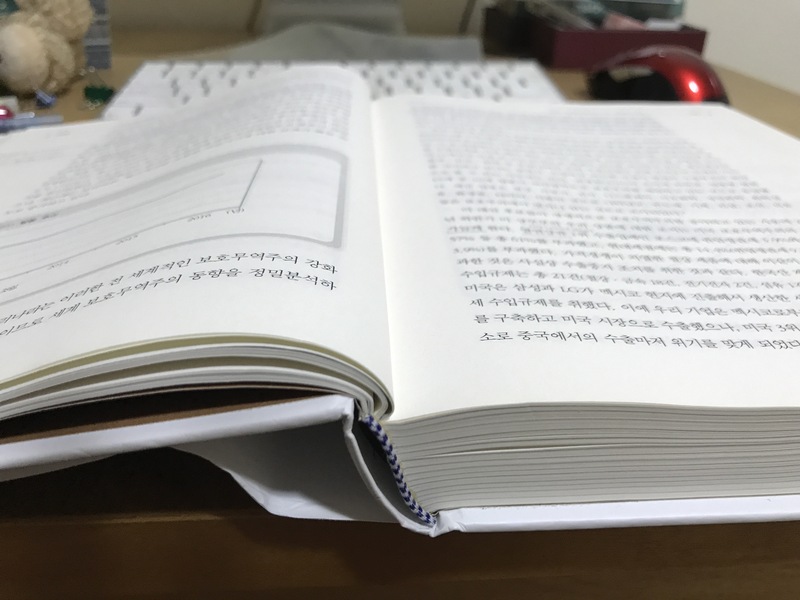 For the little time I spent on Korean, I have been concentrating mainly on reading, mostly on economic-related issues. The goal is to familiarise myself with the jargon / writing style, as well as gain knowledge in general (as mentioned in previous posts). Happy to note that I’m underlining less new vocabulary! The challenge now is actually to improve the reading speed and stamina. I can’t imagine having to do university-level readings in Korean. I’m reading SO SLOWLY. -.- A chapter will probably take me a day to complete, and even then I don’t actually have the stamina to read for long periods at one go. I lost count of how many times I got distracted by Instagram (or some other site) in a 10-minute period LOL. Did a bit of reading in the morning and evening today, and I only completed 22 pages :|. Not even a chapter hahaha. Other than being disciplined and read everyday, I don’t quite know how else to improve the speed and stamina. I want to get to this stage where I can read as comfortably in Korean as in English 🙂 I can do it. I’m in the midst of chapter 2 of the above-pictured book. Hoping to complete up to chapter 4 in the next week! Think you know a lot about Korea? Although I am at a beginner level in this very complicated language learning journey, I’m following your steps on this page and I wanted to thank you for sharing your journey! I really appreciate it! Big hug!!!! I’m agree with Raffa ! I missed visiting your blog. I used to read and re-read your posts. How are you Shanna? I’m a reader from the Philippines.